Oh, did I say I was going to sew something from a stable woven? Honestly I don't know what I was thinking. I used the rest of the slippery knit to make another knit top. 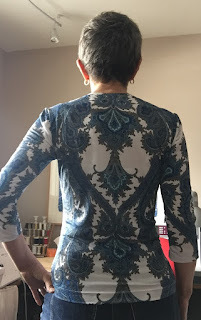 I finally got out the coverstitch machine to do the hems. It's Jalie 2804 which I've owned for a while. I notice that I crossed it over the wrong way. It'll be our little secret. 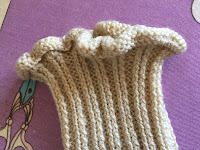 I traced my size per the chart but then cut with about 1cm extra on all vertical edges because Jalie tends to fit skin tight, and I thought this thin knit would do better if allowed to drape. 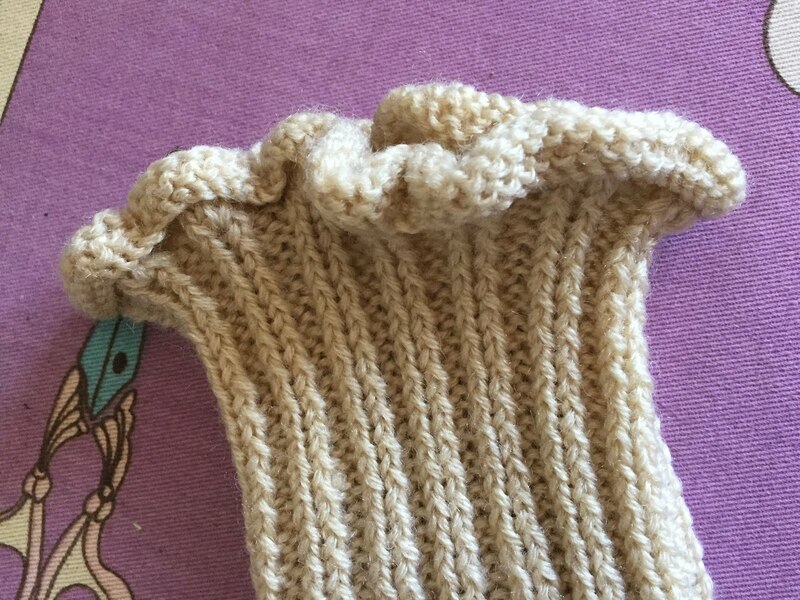 I basted before deciding, keeping only some of the extra width in the sleeves and side seams. 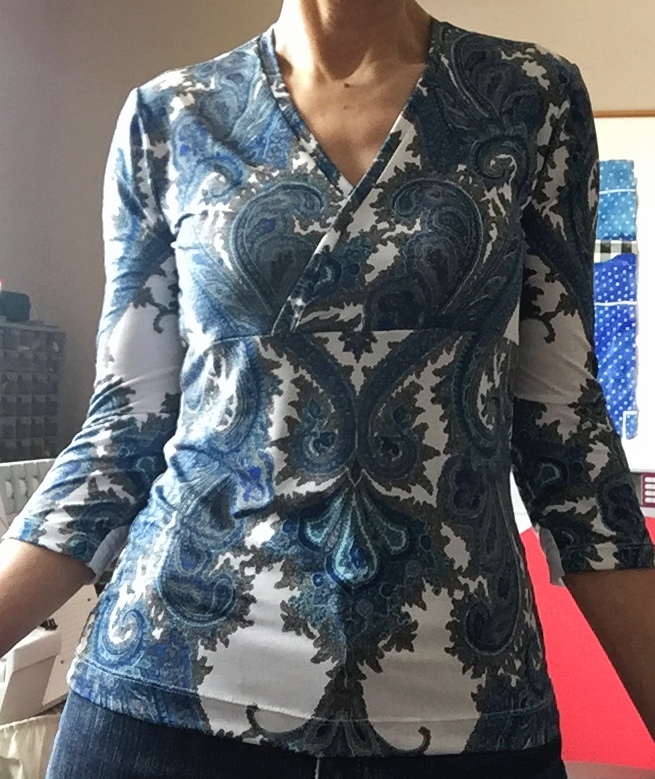 Given that I was suffering from fabric shortage, I am pretty happy that I was able to centre the print on the body and cut mirror-image sleeves! 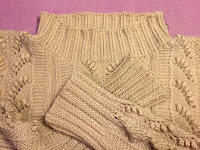 Katharine commented on my last project that I should consider a sway back adjustment. I didn't do one on this project. Frankly I'm not sure how it can be truly successful if there is no seaming in the middle of the back and no darts. This top is closer fitting so the pooling is less obvious (and I may have pulled the back hem down for this photo). I have cut out a skirt but it languishes while I do this and that. 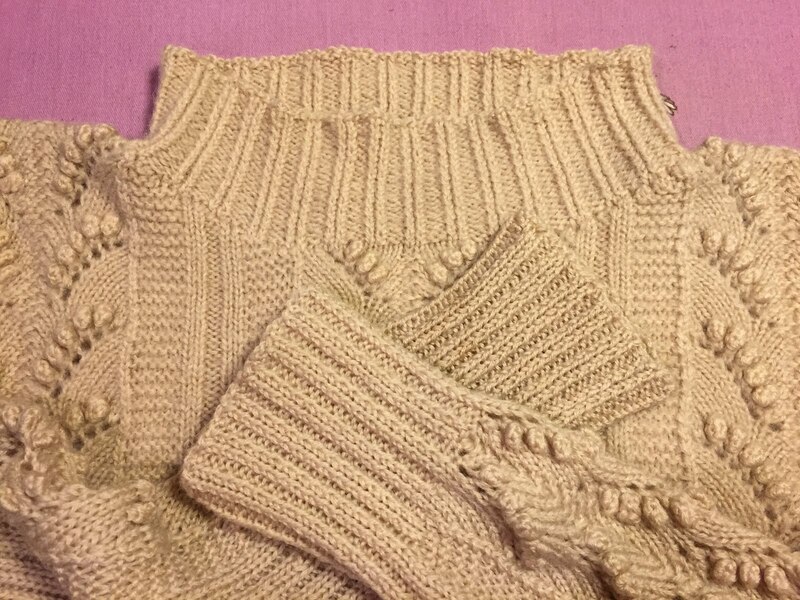 "This" was altering a beautiful hand-knit sweater for a friend by ripping back the ruffled hems and re-casting off more conventionally. I decided on the "Icelandic bind off" because it is stretchy and looks pretty good with the twisted knit rib texture. 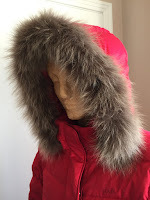 "That" was replacing the extremely ratty "faux fur" strip on the hood of my (RTW) down winter coat. I bought a winter coat ($5 at Value Village) with a fur-trimmed hood, and promptly donated the coat (sans hood) back to the store. It is definitely not the greatest fur, but about 1000 times nicer looking than the fake stuff. I am satisfied!